Now that the gift-giving and over-eating is behind, we can get back to what we love; Tacos and Pizza! And we will have some of your favorites to close out the year. 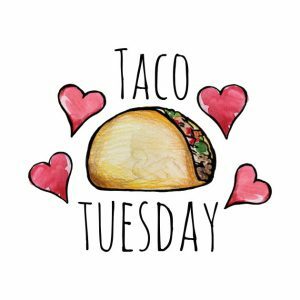 #TacoTuesday we will have our famous Ground Beef Tacos, which have consistently brought our guests back time and time again! Chicken Enchiladas are also on the menu, which are loaded with roasted chicken, our house-made enchilada, and melted cheese. These have been extremely popular since we introduced them, and with good reason!